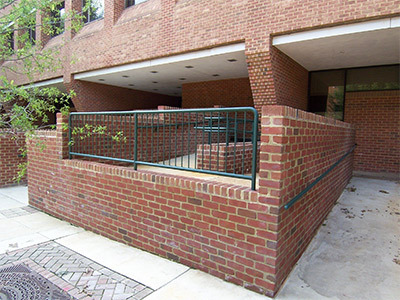 George Mason University required substantial ADA upgrades throughout its Fairfax campus. SWSG was tasked to prepare 23 design packages with solutions that included ramps, mechanical lifts, walkways, building entrance redesigns, theater seating redesigns, compliant restrooms and associated fixtures. During the construction of each design package SWSG provided on-site visits for quality control. Fairfax County Park Authority desired to bring Frying Pan School House into ADA compliance. SWSG provided site surveys and prepared construction documents for modifications which included the demolition of the existing detached toilet facility, renovation of the toilet rooms, construction of new accessible detached toilet facility, and installation of an incline-plane wheelchair lift. The lift provided ADA access from grade to the first floor. Non-destructive thermal imaging was used to determined which original plaster walls were replaced with gypsum board. 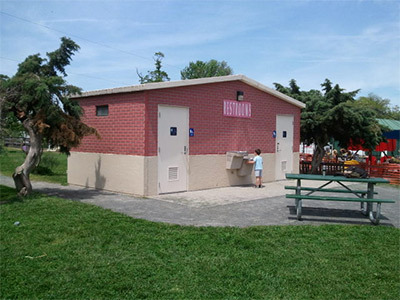 SWSG also designed a hard-surface ADA trail system to the detached restroom facility.